Came here last weekend and had a good time. First time going to a Board Game cafe place anywhere. Sugar and Dice is located towards the Albert Dock area of Liverpool city centre – but just about 5 minutes walk from Liverpool One or Bold Street. Sugar and Dice all started as a Kickstarter campaign about 2 years ago. The idea came about after the owners lived in Berlin for a few years and introduced to the concept of board game cafes. We arrived and got a nice warm welcome. You pay by the hour and get to play on as many games as you want. Its £2 per hour per person, with a maximum of £5 per person. Limited to a max of 4 hours. We only stayed for an hour and played a couple different games. There was lots of different board games – some never played before, many classics and some not played for ages. But we decided to play ones we had never played before. Would be silly with all the choice just to play games we already knew (and paying for it!!). We played a game called Codenames (Picture version) which was pretty good – basically have to get teammate to cover different cards using words – actually just a single word. And ideally getting them to cover more than one card. 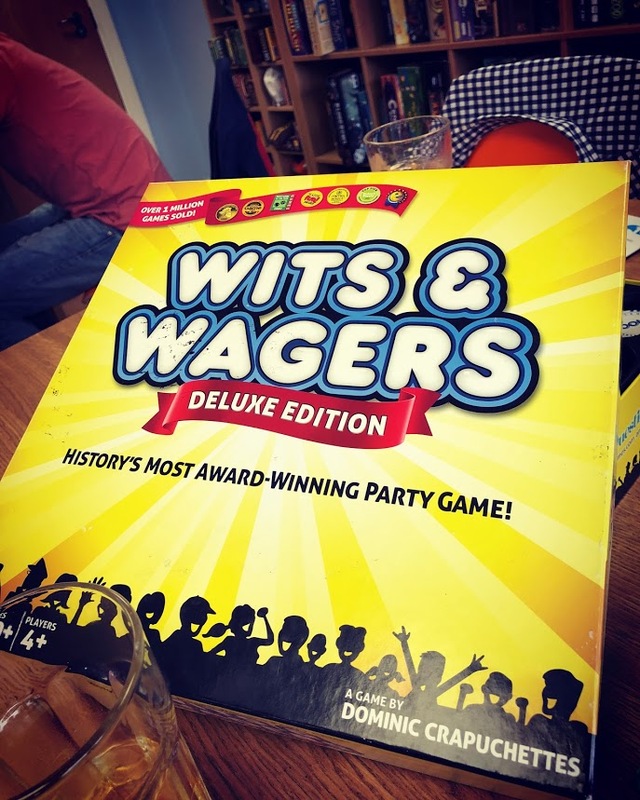 The 2nd game we played was called Wits and Wagers. What attracted us to this game was it said it was the “Most Award winning game in History” – and about 20 different emblems on the side of box to show awards it had one. It was a simple game with combination of guessing (sometimes educated guesses) and gambling element. You get a question e.g. average number of miles travelled a year by person in America. Each person writes down their guess. Then all the guesses are revealed and each player gets to bet on which answer is the closest. So even if your own guess is wrong, you could still win. The game is clearly American based with a few questions specific to America. But it was still fine and although I was a bit rubbish at it, its good fun. 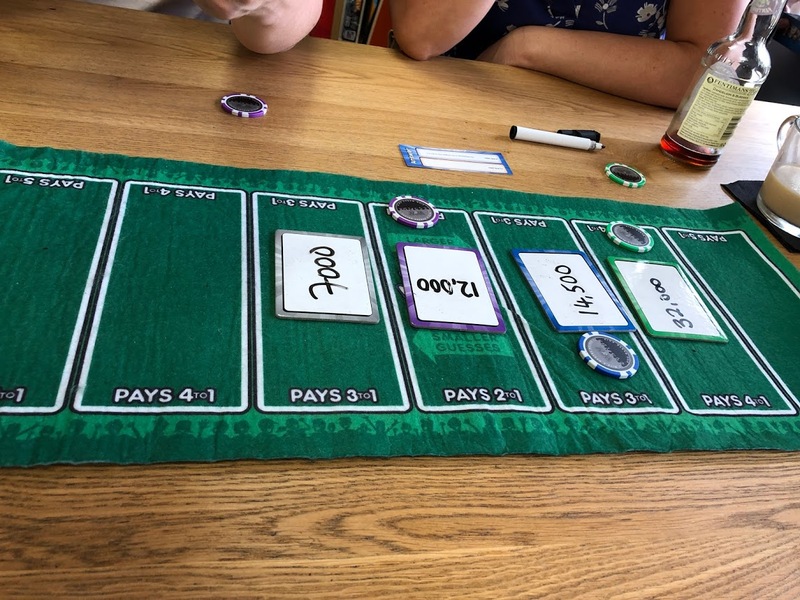 You could actually create the game yourself really with a poker set for the betting tokens and would be easy to find the sort of questions. Actually some people on board game forums seem to have created a load of questions for this game – including some more UK based ones. 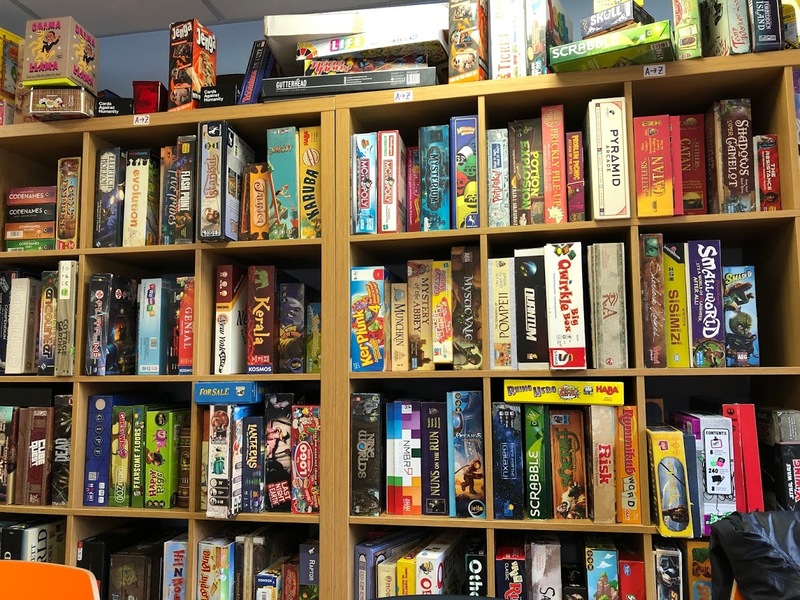 Apart from the board games, they also serve drinks (soft drinks, tea, coffee, some alcoholic drinks) and food like bagels, toasties, soup and nachos. We only had a drink – as we were heading to restaurant afterwards. I just had an apple juice which was just £1. For more details on Sugar and Dice – including full list of board games, check out their web site.